Jazzy is 3 years old! Happy birthday! Cafridas Olympic Onslow Ohio Very good. 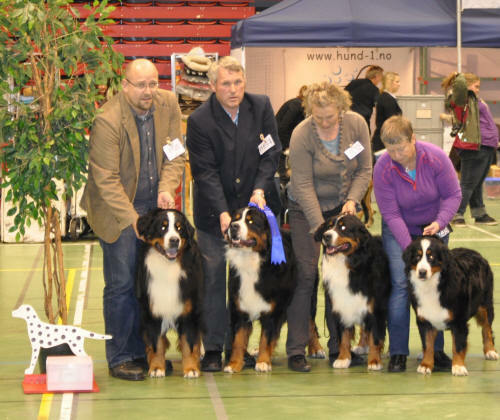 Kennel Cafrida nr 2 oppdretter, Hp / Cafridas 2. best breeders group, prize of honor. Cafridas Kinetic Kentucky King, 4 bhk, Ck / Kentucky 4. best male, Res Cac. 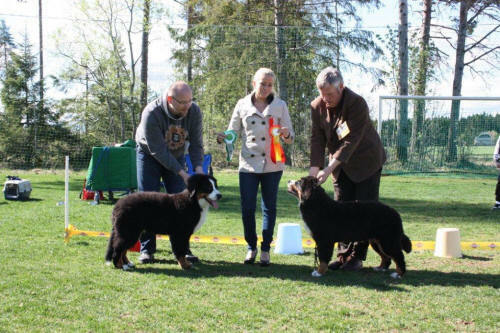 Cafridas Frolic Friendly Fannie, 4 BHK, Cert, Dansk champ / Fannie 4. best female, Cac, Danish champ. 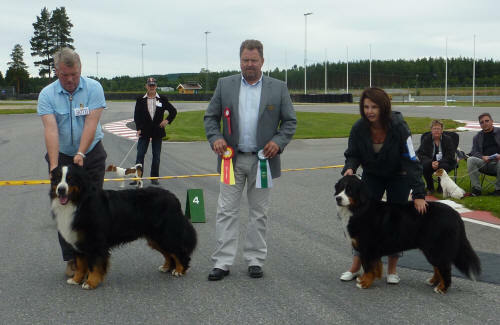 Smalmyra`s S- M Leah, Exl, nr 1 åpen klasse / Leah Exl, nr 1 open class. Cafridas Historic Hoptops Hyacinth er paret med Berntiers Monte Carlo. Evnt valper ca 3 januar 2011. 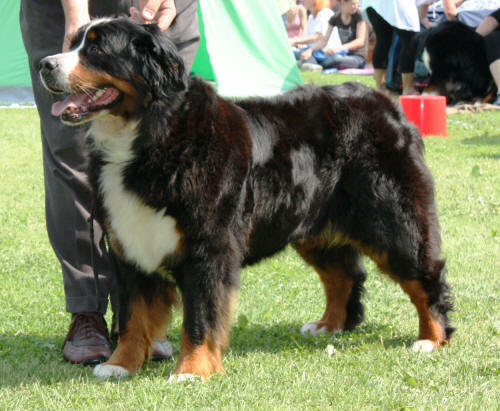 Kennel Cafrida Best in Show Breeders group. Cafridas Nostalgic Nero Newraska, 1 kval, 1 Ak , Exl, Cert / Nero Exl, nr 1 open classCac. Cafridas Kinetic Kentucky King, Exl, nr 3 Chk / Kentucky Exl, nr 3 in champ class. 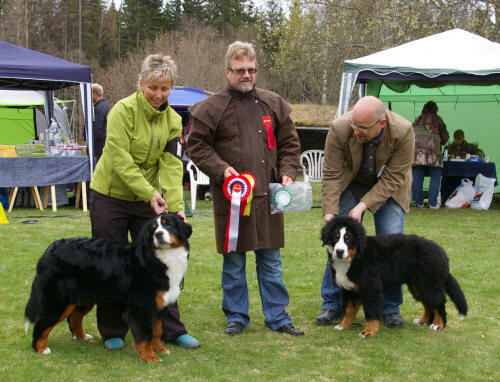 Cafridas Frolic Friendly Fannie, 1 kval, 2 konk / Fannie 1 prize, nr 2 champ class. Cafridas Meteoric Mie Miene, 2 Kval / Jølle 2 prize. Cafridas Olympic Olava Oladala, nr 2 6-9 mnd / Olava nr 2 6-9 mnthsa. Cafridas Jurassic Jazzy Jubilè, Exl / Jazzy Exellent. Cafridas Frolic Friendly Fannie, Exl, nr 3 champ kl / Fannie Exellent, nr 3 in champion class. Kennel Cafrida 2. 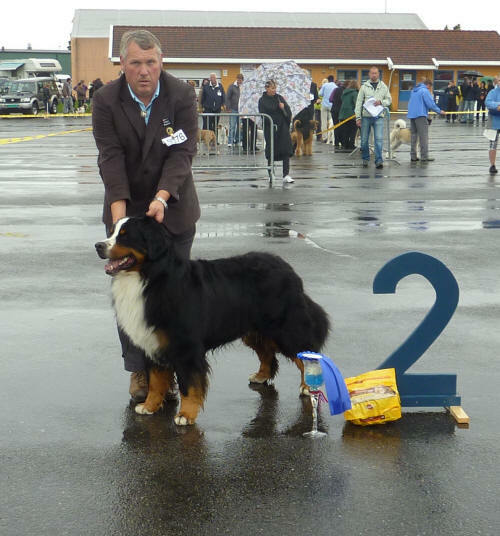 Best in Show oppdretter / Kennel Cafrida 2. Best in Show breeders class. 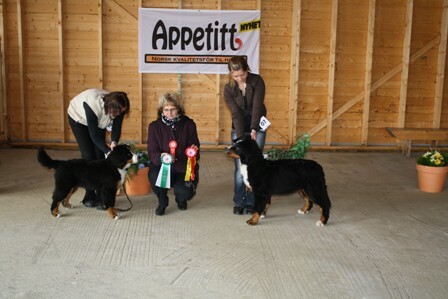 Cafridas Frolic Friendly Fannie, Exl, nr 4 champ kl / Fannie exellent, nr 4 champion class. Cafridas Olympic Olava Oladala, BIR / 3. BIG / Olava BOB, nr. 3 in the group. Bacchus left us after fighting against a tumor on his lounge for some time. The tumor was not bad, but was sitting at the lounge so we could not operate. 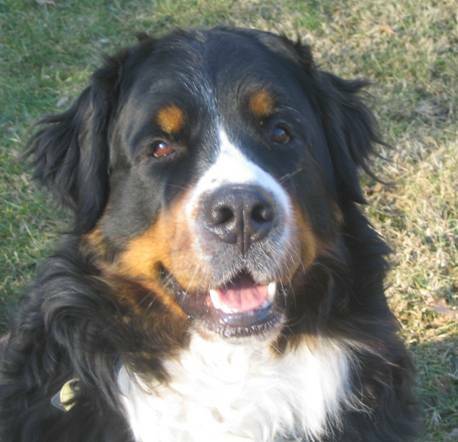 Bacchus lived his life at Britts place, and we know he has put big pawmarks after him. Bentley har forlatt oss / Bentley has left us. 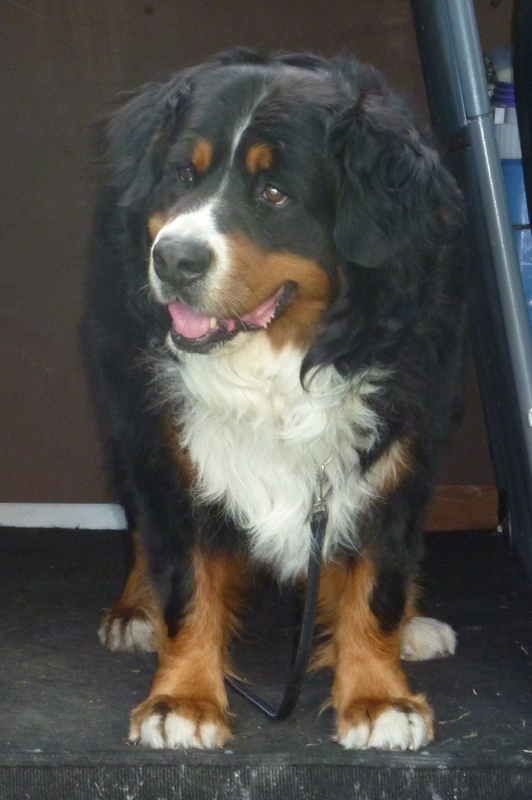 Our very special boy, Cafridas Basic Bronze Bentley left us yesterday. We are still in chock over losing this wonderful boy. And we all miss him so much. Cause of death was leukemia. 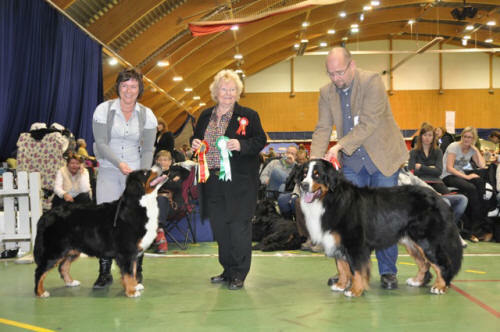 Kennel Cafrida BIR oppdretter, HP/ Cafrida BOB breedersgroup, prize of honour. Cafridas Olympic Onslow Ohio, nr 2 6-9 mnd / Onslow nr 2 6-9 mnths. Cafridas Olympic Oline Ojoff-joff, BIR, 1. BIG, 3. BIS / Joffe BOB, nr 1 in the group, nr 3. Best in Show. Cafridas Olympic Oda Odelsjente, nr 2 6-9 mnd / Oda nr 2 in 6 -9 mnths. 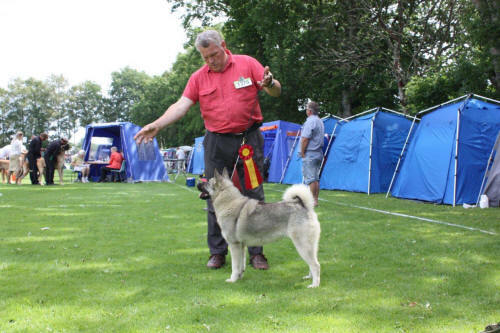 Cafridas Kinetic Kentucky King, 2 BHK, Cert, Svensk Champ / Kentucky 2 best male, Cac, Swedish Champ. Cafridas Kinetic Kassie Kk, 1 pr / Kk Exl. 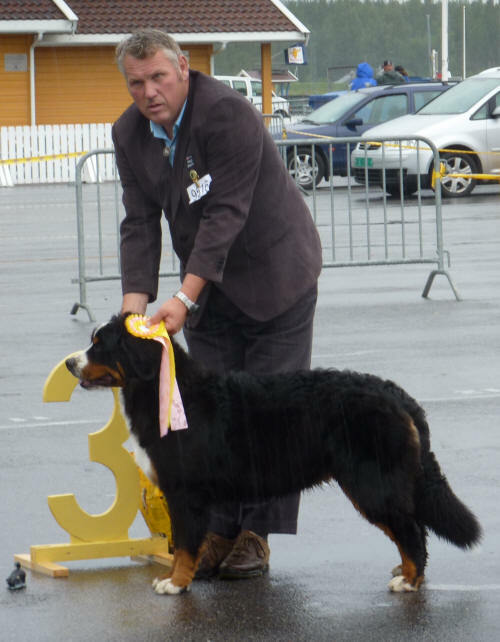 Cafridas Frolic Fearless Faclo, 1. pr, nr 3 i åpen kl, Ck / Falco Exl, Res Cac, nr 3 open class. 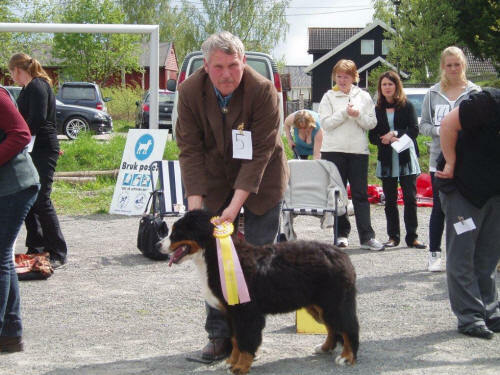 Kennel Cafrida nr 2 oppdretter, hp / Cafrida 2. best breeders group, prize of honour. Cafridas Frolic Friendly Fannie, BIM, 1. 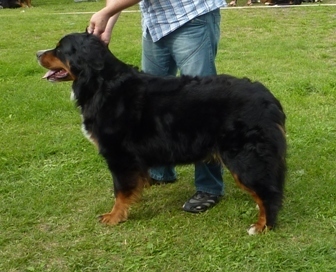 BTK, Cacib, Ck / Fannie BOS, 1. best female, Cacib, res Cac. Cafridas Kinetic Kassie kk, 1 kval / Kk Exl. Cafridas Historic Hawana Hearbeat 1 kval / Hawana exl. Cafridas Pacific Prince Phoenix ikke plassert 4 -6 mnd / Phoenix not placed 4 -6 mnths. Cafridas Historic Hawana Heartbeat 1 kval / Hawana Exl. 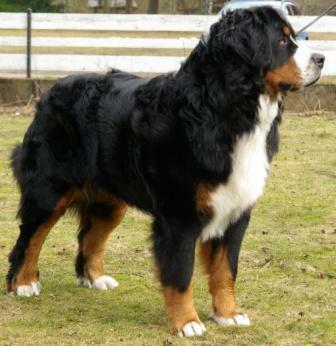 Kennel Cafrida BIR oppdretter / Kennel Cafrida BOB breeders group. Cafridas Kinetic Kozie Keystone, 1 kval, nr 1 åpen klasse. / Kozie exl, nr 1 open class. Best in show oppdretter / Best in show breeders class. Cafridas Pacific Pasadena P`belle nr 3 4-6 mnd / Belle nr 3 4 -6 mnths. Dommer / jugde: J. Bardet, Fr. Cafridas Olympic Onslow Ohio, nr 2 4 -6 mnd / Onslow nr 2 4 -6 mnths. 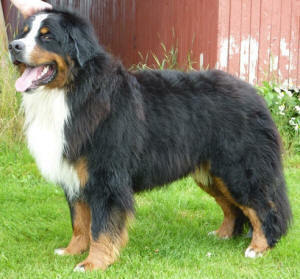 Cafridas Kinetic Kentucky King, 4 BHK, Cert, Champion / Kentucky 4. best male, Cac, Norwegian Champion. Cafridas Kinetic Kansas Knight, 1 kval / Kansas Exl champion class. Cafridas Olympic Olava Oladala, nr 2 4-6 mnd / Olava nr.2 4-6 mnths. Cafridas Nostalgic Nero Nebraska, 1 kval, 2 kpnk / Nero Exl, intermed class, nr 2 in the class. 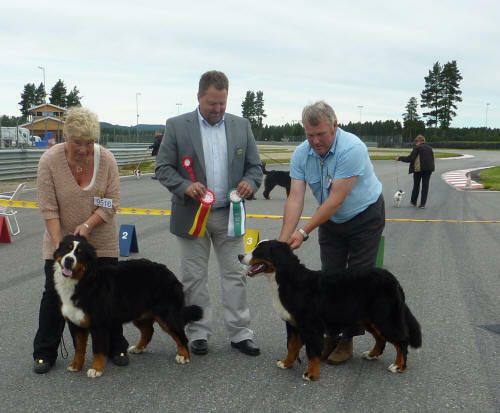 Kennel Cafrida nr 2 oppdretter m/ hp / Cafrida nr 2 breeders class, prize of honour. 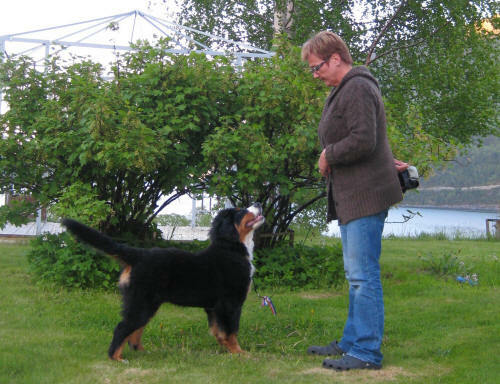 Cafridas Olympic Oda Odelsjente, nr 3 4-8 mnd / Oda nr 3 in class 4-6 mnths. Cafridas Nostalgic Nero Nebraska, Exl, nr 3 unghund / Nero Exl, nr 3. intermed class. Cafridas Frolic Friendly Fannie, Exl, nr 2 i åpen klasse, Res Cert / Fannie, Exl, nr 2 in open class, res Cac. Cafridas Kinetic Kozie Keystone, 1 kval / Kozie Exl.